One Euphoria – Check your bank accounts, get out your check books. A new Condo high rise will rise near Fields Ave and by all appearances it looks like it will be one hell of a place to live. It is a 15 story building on Santos and goes back to Surla street. It is just past Johnny street on Santos. One and two bedroom units will be available and we think the price for a one bedroom will be around 6.7 million. I have to thank my friend Mike Johnson for this info and he added that the space previously occupied by the Rajah short time hotel will become a parking lot. Please check out One Euphoria, I did and was sure impressed. I wonder if this is another project of Guy and Roselle, owners of the Central Park Tower? This is another example of complete trust in the future of Angeles City and it is the same trust I have had for many years now. Life here is exciting and I look forward to the euphoria I will feel when I first get to visit the completed One Euphoria condo complex. 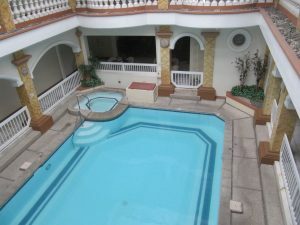 VILLA HERMOSA – Readers will remember that I was not in favor of spending a weekend away from the comfort of my home and complained about an overnight trip my wife planned for the family. I said I would provide a few details and I have to admit that the place we stayed was absolutely fantastic and very unusual. I loved it, so much that last Saturday I closed up our bar and took the staff, along with family members, there for a one day outing. How the hell can I explain adequately so you can feel complete wonder that I felt? It is named Villa Hermosa, located in Sto. Cristo, Hermosa, Bataan, only a 45 minute drive on the SCTEX Super Highway. On our weekend trip my wife reserved the entire property for P24,000 and it was completely private. 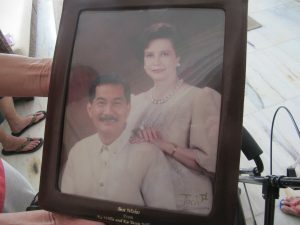 The house is a mansion that was originally owned by a British man and about 20 years ago bought by the well known Bataan Ramon family. Once you enter the compound you see this beautiful mansion and impressive grounds. The mansion has a Suite and 10 rooms as well as, get this, an indoor pool with Jacuzzi on the ground floor. The suite is on the 2nd floor and has a balcony. I was blown away even though I struggled to get to the second floor. I loved it. 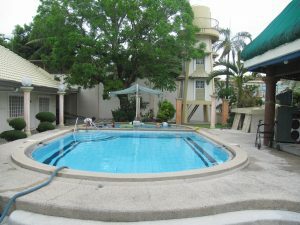 Now, the back area has a fantastic pool that is filled with natural mountain fed water 24/7. It never stops running so you swim in a pool containing no chemicals at all. It was amazing and I never figured out how this was accomplished. Get thirst while swimming? Just get to the end of the pool and drink from the water tube feeding the cold water into the pool. One section of the pool is separate for the small kids and the children loved it. There is also a very large function room and a smaller one which was not accessible to us. In the house, as well as the suite, there are family and deluxe rooms. We had 24 family members and there was plenty of room. The important thing is that when rented it is completely private. You bring your own food and drink and swim all night if you want to but only until 10 PM in the indoor pool which no one used. Before we left I decided to reserve the outdoor pool area for our staff annual outing. I paid the deposit and returned to Villa Hermosa on Saturday and loved every minute we were there. The staff brought their children and for sure the kids hated to get out of the pool. Even I stayed in for quite a while and played with the kids and did my exercises. Will I return next year – you better believe it! You must reserve in advance so call Len at 09123965251 or (63) 47-491-4397. Don’t tell my wife that I did kind of enjoy the overnight stay as I do not want it to become a habit. SMILE MAKEOVER – I had my 3rd treatment for my root canal and only one more appointment to go. This time, Dr. Eilene did her normal great work and even the initial shot to my gum did not hurt at all. The reason I mention this treatment as this was the first time I fell asleep in the chair while she was working on me and my mouth was full of equipment. I had enough pain relief in me that I tried thinking of Hawaii and the music of Brother IZ in an attempt to move my mind elsewhere. Three different times I knew I dozed off and later Dr. Irene confirmed my slumber as she heard me snore. This was a first for me. I was happy to see Dr. Tey when she dropped in to see me. Another reason I am mentioning this here is because I would like to suggest that Doc Tey take her staff to Villa Hermosa the next time she plans a one day outing for staff and family. For the one day reservation the charge was only P5,000. I know she would really enjoy the visit. Check it out Doc! Finally, pictures displaying Villa Hermosa (with help from my brother in law). 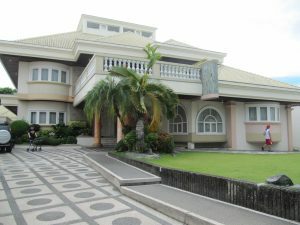 L to R your truly in dining room (not allowed to use), out door pool area, picture of owners (ex-congresswoman,), Staircase to second floor and nook for in-door garden, window view of 2nd floor balcony, indoor pool with jacuzzi, out door pool and last, front view of the Villa. JOSIE-HI BAR – Many of you will remember this bar under the name of Thi-Hi and also remember that it was my favorite place to go for a bit of fun. I still go there once in a while but it has lost a bit of its style over the last couple of years. Recently a long time customer came on board to help Josie (owner) with a bit of capitalization and suggestions for improvement. It did not go as well as he hoped, in fact most of his time and money went into paying rent that was behind and utility bills. He was able to bring on Ken (Mac), a popular, well known Australian to help manage and he was able to make some improvements that have increased sales. But, problems persist and a further “house cleaning” is necessary to raise the customer base. Recently, some new investors have shown an interest in taking the place over and have been checking the books in discussions with management. A team of two, Bill and Conrad I know Tony the previous owner of a bar that close down last year was the second person of interest. This can be good news for the loyal customers of Josie-Hi who do not wish to see it close. Whoever buys it, we can only hope that the stage and dancers will disappear, tables added and more nicely dressed GROs added. The outside seating brought about by Ken has brought out a positive response. The Josie-Hi Bar can, once again, be a success story. THE RAJAH – Previously, I write about the Rajah Hotel being demolished; yesterday I had my driver take me by for a look and it sure did bring back a lot of memories of the old days. Yes, I was a “frequent user” of this drive-in establishment and for sure it was not very fancy, in fact it was in a constant state of deterioration but the price was right along with its convenient location. Yes, I took a picture for my scrap book. PICTURES: Speaking of pictures, those of you that read my comments about Envy Bistro Sports Suites will notice that the picture of the waitress was added. I did not do that! My friend Chuck who helped me out with Harry the Horse has editing privileges and added the picture for me. I was surprised to see it there the next day. 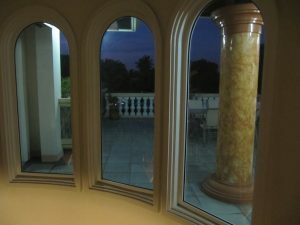 OVERNIGHT TRIP – During my recent trip to the US I found it difficult to be in a hotel room for 7 days and needed a lot of assistance from my wife. Once again I asked her, “please, back in the PI do not make me go on overnight outings where I have a problem with the bathroom”. I was so happy to return to my PWD equipped bathroom here. Guess what? 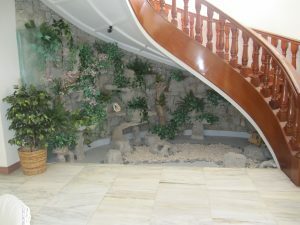 Tomorrow the whole family are heading to Bataan to stay overnight in some fancy resort where you rent the whole house. Mrs Horse, asked me today, if I really wanted to go? I asked if I could be honest, she sweetly said “Yes”. I just as sweetly said “No”. Somehow, I am still going! Of course I will fill you in on the details next week.